A surge in tourism for North Wales could be kick-started with a bid to capitalise on the discovery of America by Prince Madoc, says a business group. According to Welsh folklore, the adventurer Prince sailed from Rhos-on-Sea in 1170, on a ship built in Abergele, and ended up in Mobile Bay in Alabama – three centuries before Columbus crossed the Atlantic. It means North Wales could follow the lead of Iceland – presently enjoying its highest-ever visitor numbers – as Americans and Canadians make the trek to see where, according to Norse sagas, Lief Erikson set sail for the New World. Archaeological digs recently proved that the tales were true and Vikings had settled in North America in the 10th century. Queen Elizabeth I reputedly used the legend, detailed in a poem, as the basis of her claim against Spain that Britain should rule America. Now Colwyn BID, the business enterprise tasked with bringing more visitors to the area, has thrown its support behind promoting the story of the voyages of Prince Madoc and his brother Rhiryd – sailing the Atlantic at least four times. Project manager Anna Openshaw is hoping that the Welsh Government’s 2018 Year of the Sea tourism initiative will capitalise on the resort’s historic American links. BID may also use its own funds to promote the Madoc legend – with the possibility of a modern bandstand on Rhos promenade in the shape of Prince Madoc’s ship Gwennan Gorn already discussed. Anna said: “We are fully supportive of the idea to promote the story of Prince Madoc in Rhos-on-Sea. “We need to tap into this legendary tale to attract visitors from far and wide. “It’s a unique selling point for the area and something that should be marketed much more than it currently is. “There is an opportunity here to bring in more tourists, particularly from America where we have a link through the story of Prince Madoc, and that can only benefit our businesses. Mobile has a Madoc Society and the influential US heritage movement The Daughters of the American Revolution laid a memorial plaque in the town in 1953, marking the spot where he reputedly landed, with a twin stone also laid in Rhos. The American plaque was recently restored and moved to a more prominent spot, following a petition by Americans with Welsh heritage. Parts of a 1,000-year-old quay were found during excavations at a house called Odstone, between Penrhyn Bay and Rhos, discounting claims that the seafront was too shallow for an ocean-going ship to set sail. 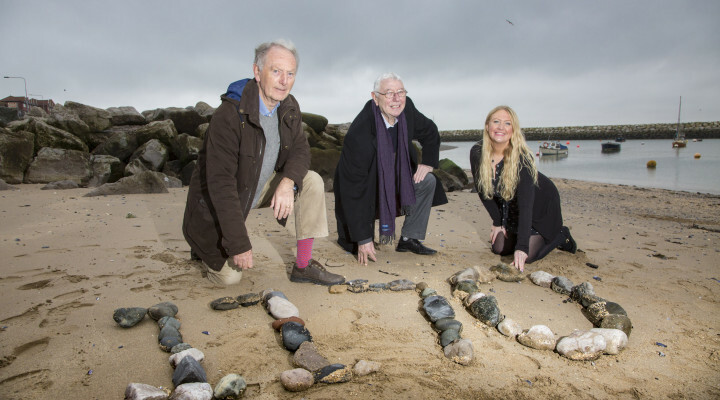 Conwy county councillor Roger Parry and local historian Graham Roberts believe the story of Madoc’s epic voyage is “feasible” – though they discredit tales of Welsh-speaking Mandan Indians – and that the seaside village should be promoting it to attract more visitors. Cllr Parry wants Rhos to leverage the myth in the same way that Beddgelert makes the most of its association with the legendary dog Gelert. Thousands flock to the Gwynedd village to see Gelert’s grave, thanks to the myth that the dog was wrongly killed by Llywelyn the Great, who believed the animal had savaged his baby son – when the faithful hound had actually been its protector and killed the wolf that had attacked the boy. Cllr Parry said: “That story is so popular with people, although it’s probably not true. They believe it and they want to go to the site. It puts Beddgelert on the map and gets people spending in the village. It’s an example of what could happen if we did the same. “It’s very feasible that Madoc sailed to America and I would love to see the story promoted. I hope we can get it off the ground. “It will generate money if it’s done properly and attract a lot of visitors. Hopefully we’d get people coming over from America. Cllr Parry, along with town councillor Dave Griffiths, previously put together a Madoc Plan, outlining ways of maximising tourism benefits on the unique tale. Information boards, signs, souvenirs, flower displays, a replica of Madoc’s boat and a potential twinning with Alabama were all mooted – but, aside from a council plaque on the refurbished promenade, nothing else has yet come to fruition. He hopes that, with Colwyn BID backing the promotion of the Prince Madoc story, there is now the opportunity to come up with a significant and prominent tribute to the legendary sailor. Cllr Parry said: “There are ideas that have been mentioned, for instance a big model of his ship on the beach, but there is a cost element to consider. “I like the idea of having ceramic tiles on the new concrete wall on the beachfront telling the story of Prince Madoc. “We have a designated cycle path down there but because of a pinch point, where cyclists have to get off, we need to construct a new wall so that it flows. “It will be 130ft long so why not incorporate the story on the new wall? We have a plaque but people can easily walk past without seeing it. “What we need to do is engage with the business and public and see what they want. We’ve spoken to schools in the past and they were excited about getting involved. Local historian and author Graham Roberts, who has been a keen supporter of promoting the Prince Madoc links, says there are indications that the story could be more than just folklore, although it’s impossible to prove. He explained: “There is no solid evidence but there was a family who were here. His father was a prince who had many children. “When the father died they started fighting each other. The story is Prince Madoc became fed up of the family feuding and wanted to find somewhere else to live. “He sailed from Rhos on Sea and landed in Mobile Bay. Two years later he returned for more provisions – and people, presumably. “Prince Madoc’s forbears were Vikings so he may have sailed on a Viking style longship. “What we do know through the discovery of artefacts is that the Vikings reached the Canadian island of Newfoundland. Graham believes information boards and a monument, such as a replica boat, in a “prominent” place would entice more visitors to Rhos, potentially from across the Atlantic. He said: “People are interested on that side. There is a Madoc society in Mobile Bay so they are well aware of the legend. Colwyn BID, a not-for-profit social enterprise, is run by the business communities in Colwyn Bay, Rhos-on-Sea, Old Colwyn and Mochdre. Firms pay a levy and the cash raised is used for projects that will make the region more attractive, bring in extra shoppers and visitors, or enable companies to work more effectively. Prince Madoc ab Owain Gwynedd was said to be a son of Owain Gwynedd, King of Gwynedd, who battled Henry II and had many illegimate children. Following Owain’s death, Madoc, who was born at Dolwyddelan Castle, took to the sea in his boat Gwennan Gorn to flee family feuds at home – his brother accompanied him in his vessel, Pedr Sant. Prince Madoc later returned to Wales with great tales of his adventures and persuaded others to travel to America with him. It has been claimed that, once they landed in America, they inter-mixed with the native Mandan tribe, leaving behind many common words, plus techniques to build both homes and boats. Research since then has been both supported and discredited this theory. John Evans, the Welsh-speaking explorer who charted the Missouri and spent time with Mandans, found no links, while other researchers insisted there is a shared language. This entry was posted in Business, Featured, History, News, Tourism. Bookmark the permalink.